Windows Chromebook. 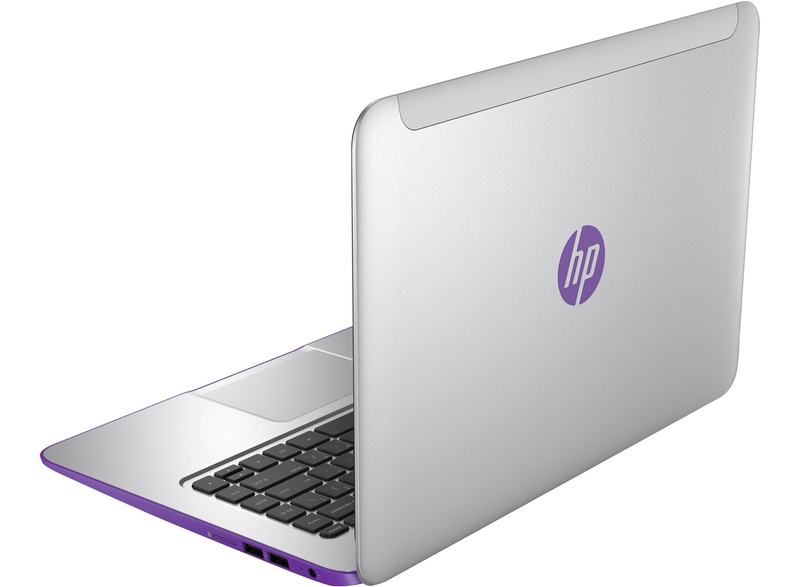 HP tries to compete with Google's Chromebooks with a slim 14-inch Windows notebook. An AMD APU works inside. The concept sounds good, but is it really convincing? Chromebooks have become more and more popular over time. One of the reasons might be that they are very simple to use: Open the laptop, log in to a Google account and start using it. 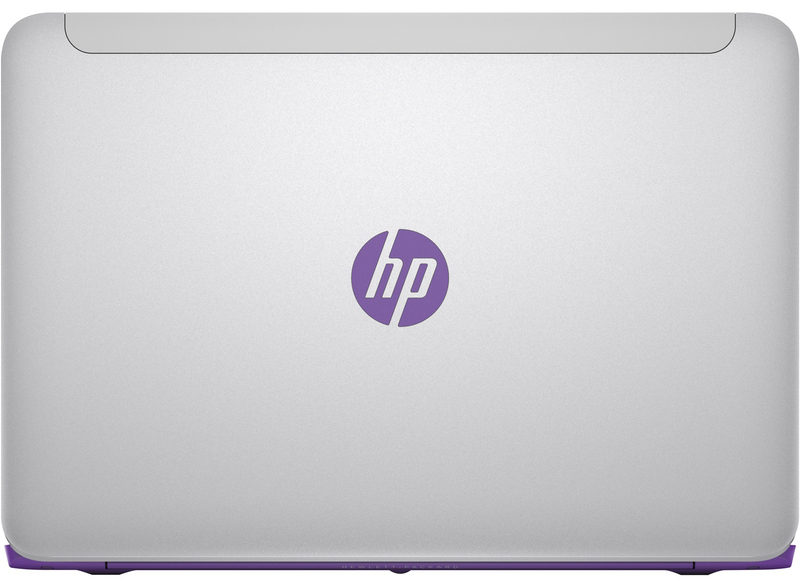 With the Stream series, HP tries to establish a Windows-based counterpart now. It uses a simple hardware platform and primarily cloud applications. Thanks to a fully fledged Windows installation, it is also possible to use "normal" Windows applications. Is this an advantage? 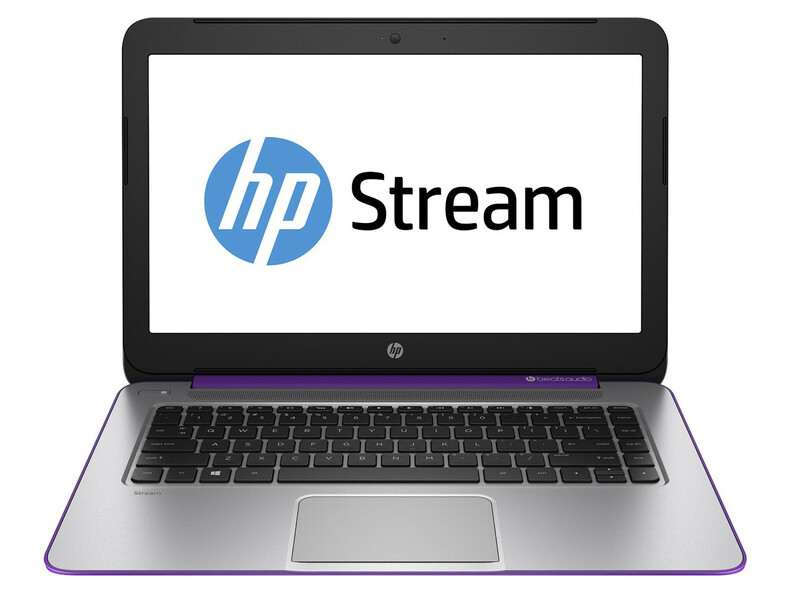 Our review will reveal whether the HP Stream is convincing and actually an alternative to Chromebooks. 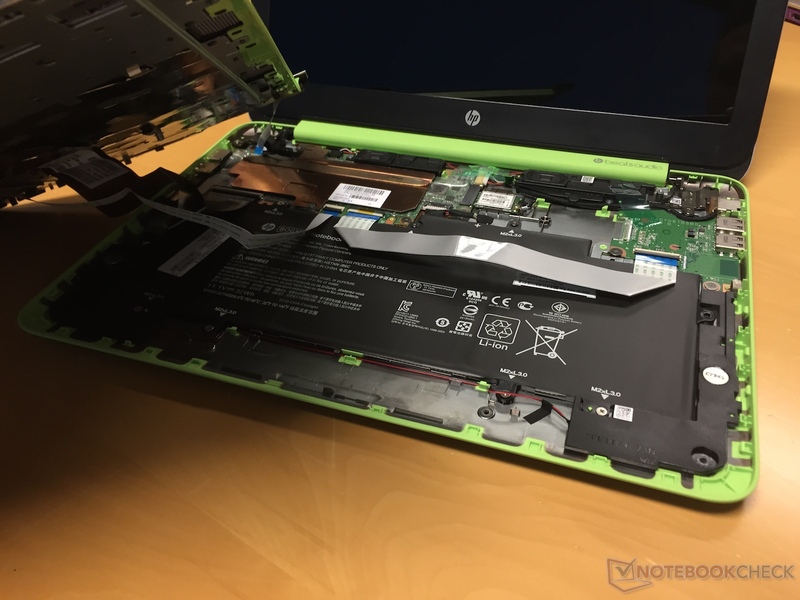 Competitors of the Stream are not only Chromebooks like the Acer Chromebook 13 CB5-311-T0B2 and the Toshiba Chromebook CB30-102, but also cheap Windows notebooks like the Asus X551MAV-SX391B, the Packard Bell EasyNote TF71BM-C8R1, the Acer Aspire E1-532, and the Lenovo B50-45. The thin, slim case looks nice at a first glance. It is very handy with a height of 17.8 mm and a weight of 1.6 kg. 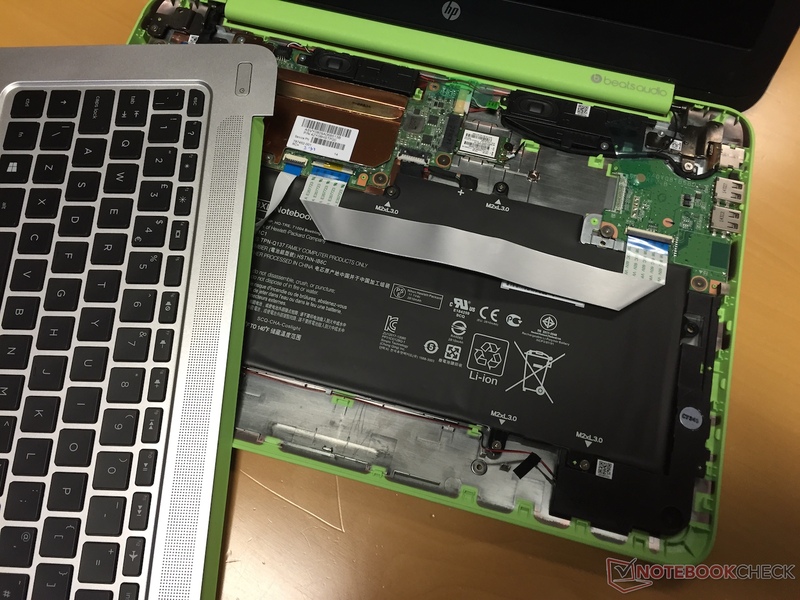 Despite a price of 300 Euros (~$380), HP does not only use plastic: The upper side of the base unit and the lid are made from aluminum. The test device has two colors: The underside of the base unit and the hinge cover are purple ("Neon Purple") and the upper side of the base unit and the lid are silver ("Natural Silver"). Alternatively, the computer is also available in green and silver. The device has the usual weaknesses found in many notebooks. 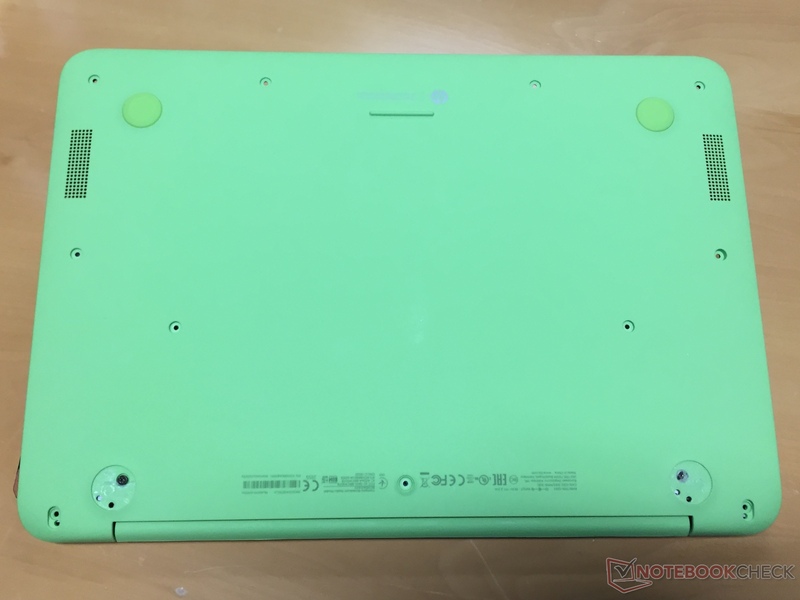 The case can be slightly depressed under the touchpad and beside the keyboard. In our opinion, the base unit can be twisted too easily. The latter is also true for the lid. 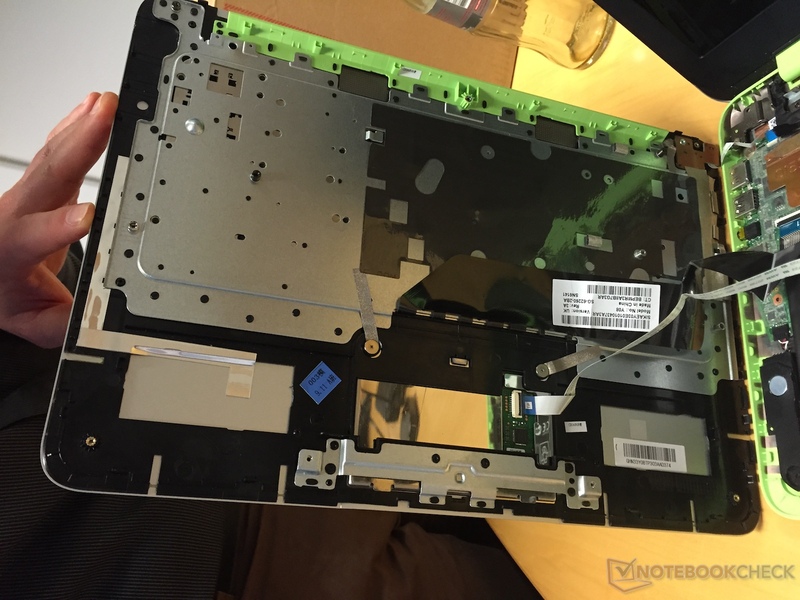 The laptop does not have a maintenance hatch. So, you have to remove the upper side of the base unit in order to reach the inside. This does not really matter since the battery is the only replaceable component. 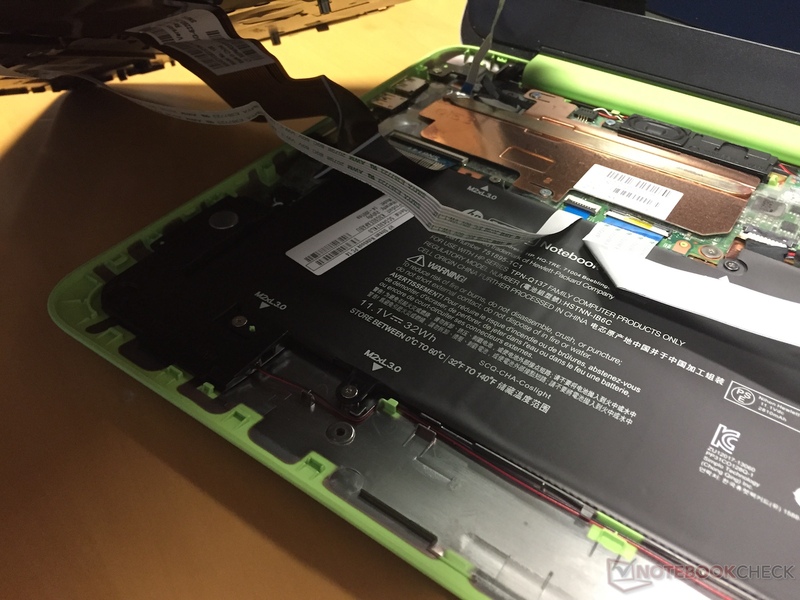 The battery is held by screws and is not adhered. HP placed the slots of the Stream on both flanks towards the back. So, there are no cables left and right of the palm rests. In terms of connectivity, the laptop meets the minimum requirements. A USB 3.0 port is included. The middle of the three images of the case depicts a SIM-card slot on the right side, which is explicitly mentioned in the hardware manual, too. However, our test model neither features a SIM-card slot nor an LTE-/3G modem. We hope that HP will offer a model with a modem, since it would greatly increase the appeal of the computer. The preinstalled Windows 8.1 (64-bit) is used as the operating system. A recovery medium is not included. But, the eMMC memory has a recovery partition. Input devices of the HP Stream 14. The Stream 14 features a chiclet keyboard without a light. The flat, smooth keys feature a short travel and a distinctive pressure point, which could be clearer. The keyboard gives in easily during typing - more on the right than on the left. However, this is not disturbing. Overall, the keyboard is decent. The ClickPad of the Stream supports multi-touch input. Thanks to its size of 10.1 x 6.8 cm, it is easy to use gestures. The smooth surface does not prevent fingers from gliding. The pad features a short travel alongside a clear pressure point. HP equipped the Stream with a glossy 14-inch display with a native resolution of 1366x768 pixels. The brightness of 221.9 cd/m² is not especially impressive but usual for a computer of this price range. The same is true for contrast (359:1) and black value (0.64 cd/m²). In factory state, the display has an average DeltaE 2000 deviation of 11.29, which is clearly outside the target range (DeltaE smaller than 3). In addition, the display has a strong blue tint. The HP Stream 14 outdoors. HP has equipped the Stream with a simple TN panel. So, the viewing angles are narrow. The laptop can be used in the shade at best. 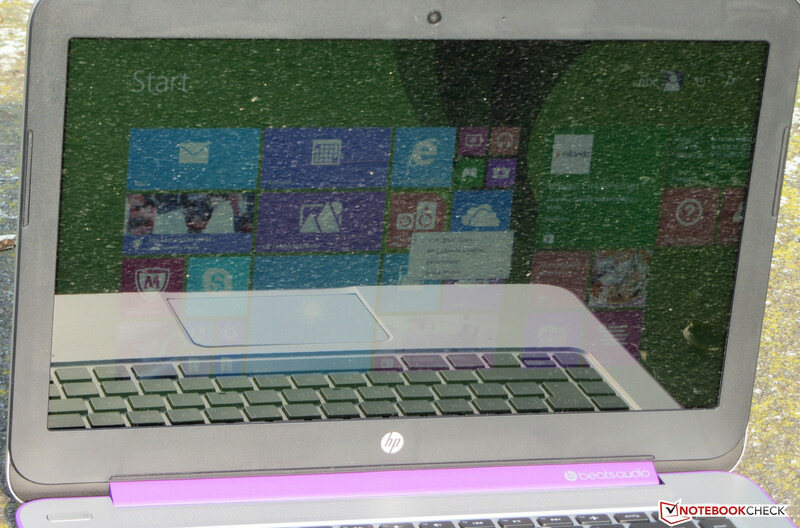 Other than that, it is difficult or even impossible to use the display outdoors because of the glossy surface. 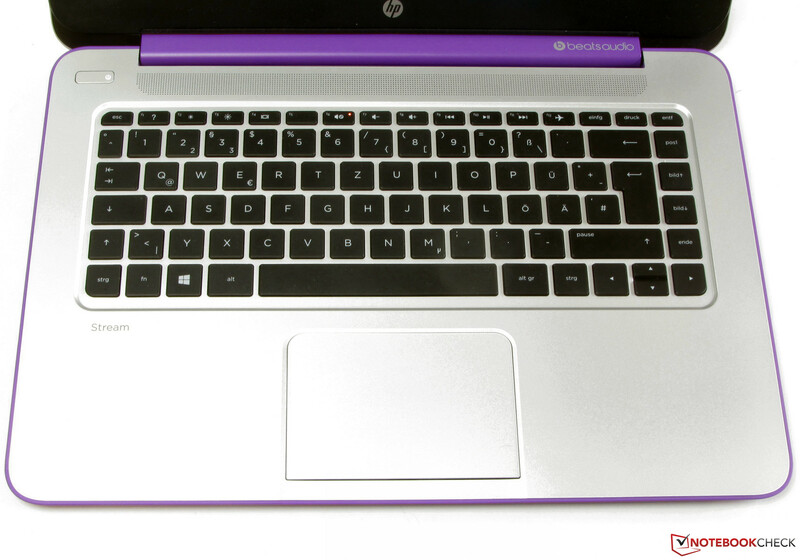 The HP Stream 14 is a simple 14-inch office notebook. Its processing performance is more than sufficient for the intended use (office, Internet, video playback). The Stream 14 is, so to say, a Windows-based counterpart to the Chromebooks from Google. Our test model costs 299 Euros (~$379). Models with different hardware are not available. 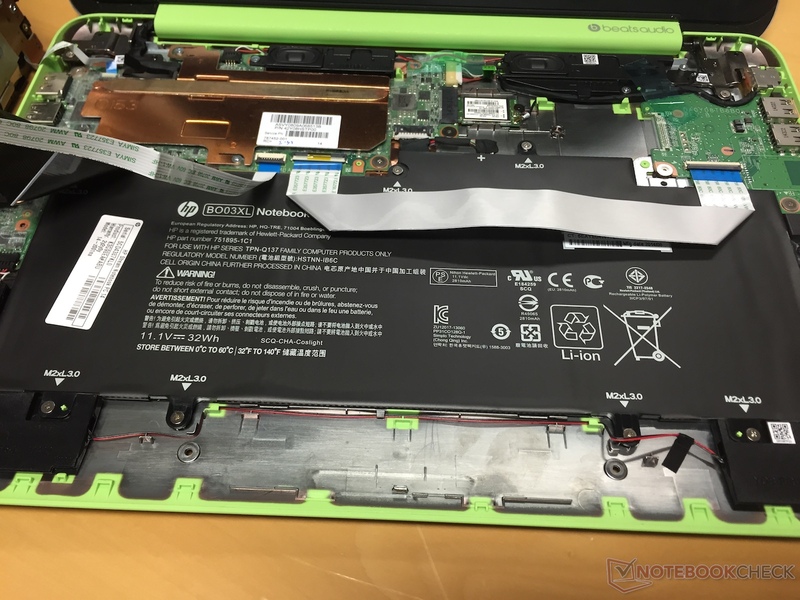 We only saw a model with different colors (green and silver; HP Stream 14-z052ng). The Stream is powered by an AMD A4 Micro-6400T APU (Mullins). The CPU part of the APU consists of a quad-core processor with a base clock of 1 GHz. The clock rate can increase to up to 1.6 GHz. With a TDP of 4.5 Watt, the APU is very frugal. Thus, it can be cooled passively. AMD primarily designed this APU for use in tablets. The processor clocks at 1.2 GHz during the multi-thread tests of the Cinebench benchmarks. When running the single-thread tests, the clock rate of one core is usually increased to 1.6 GHz. The single-thread performance is on a par with that of the Bay Trail processor from Intel. 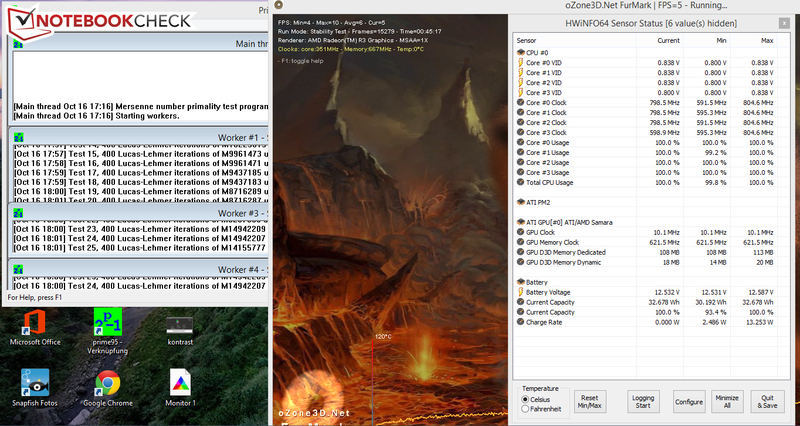 In multi-thread apps, the processor can catch up to Intel's Haswell Pentiums. The results in the browser benchmarks depend heavily on the used browser. In order to show the differences, we ran the test with the preinstalled Internet Explorer 11 as well as with Chrome (38.0.2125.104). All things considered, the APU left a good impression. It would be interesting to see how the APU performs in conventional notebooks which currently use Bay Trail Pentiums. The system works smoothly and Windows boots quickly. Unfortunately, we can not deliver PCMark 8 results, since the computer crashed and restarted when we executed it. An eMMC chip is used as data storage. The transfer rates of the eMMC memory are largely up-to-date. However, the 4k performance is significantly lower than other computers' with eMMC memory. The storage device is far from keeping up with SSDs in terms of performance. HP has incorporated a memory module with a capacity of 32 GB. About 10 GB is occupied by the recovery partition and about 12 GB is used by the Windows installation. As a result, the user can use just under 10 GB. Additional storage space can be added with a MicroSD card. In addition, buyers of the Stream 14 are provided with 100 GB storage capacity in Microsoft's Cloud memory (OneDrive) for two years. Graphics output is done by a Radeon R3 graphics core. The GPU supports DirectX 11.2 and clocks at 350 GHz. The results of the 3DMark benchmarks show that the performance of the chip is about in between the Intel HD Graphics 2500 (Ivy Bridge) and HD Graphics (Haswell). So, it is significantly faster than Intel's Bay Trail GPUs. Neither the used APU nor the computer itself were designed for modern computer games. Apart from that, the existing storage capacity is hardly sufficient for most games. Several older titles like Trackmania Nations Forever or Resident Evil 5 run smoothly with low resolution and low quality settings. Those wanting to play occasionally should stick to games from the Windows Store. The APU is cooled passively. Thus, the Stream does not produce noise. The HP Stream in the stress test. The ProBook completes the stress test (Prime95 and Furmark running simultaneously for at least an hour) the same way in both AC power and battery modes: The CPU's clock rate is throttled to 600 to 800 MHz, the GPU works at 350 MHz. The case does not get extremely hot. Only two measurement points exceed 40 °C during the stress test. The stereo speakers of the Stream are located on the underside of the computer. The sound is rather thin, lacks bass, and appears slightly tinny. The preinstalled Beats Audio Software is active. The sound can only be improved by external speakers or headphones. The energy demand of the Stream is quite low in all load scenarios. This is not surprising since the computer houses a frugal APU. Conventional Windows computers with a size of 15.6-inches and Bay Trail CPUs need significantly more energy. This is also true for Chromebooks with Intel hardware. But, Chromebooks with ARM hardware are even more frugal; for example, the Acer Chromebook 13 with Tegra K1 SoC. Our realistic WLAN test automatically loads websites in 40-second intervals. The energy-saving profile is active and the display brightness is set to about 150 cd/m². The Stream achieves a battery life of 5:17 h. While this is alright, it should have performed significantly better. This notebook was designed for mobility. Even in the 300 Euros (~$380) price range, there are notebooks with significantly longer battery life, for example, the Packard Bell EasyNote TF71BM-C8R1 (Pentium N2830, HD Graphics (Bay Trail)): It costs about 250 Euros (~$316) and achieves a battery life of 7:09 h. The Stream was designed as a competitor to Chromebooks and has to keep up with these. Again, things look black. Acer's Chromebook 13 (Tegra K1) achieves 10:04 h on a single charge. 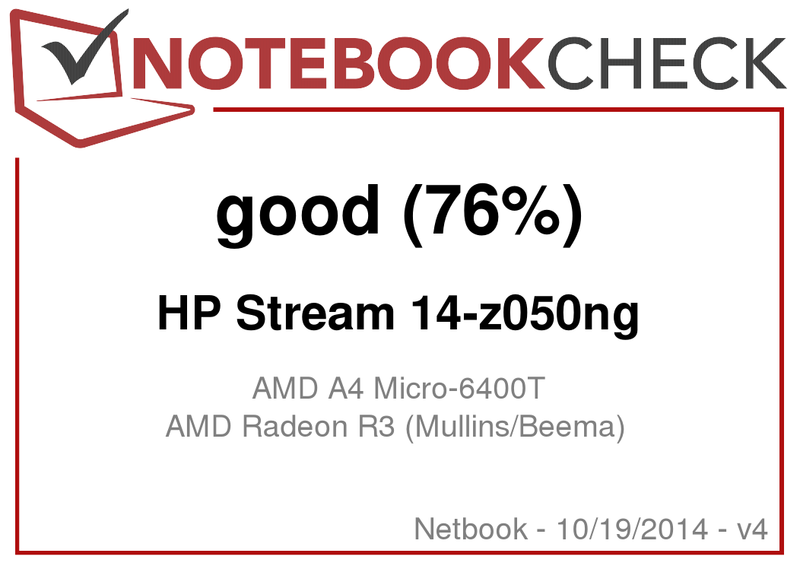 All things considered, we liked the HP Stream 14-z050ng. Practically, you'll get a Windows-based Chromebook, which can run "normal" Windows applications, too. The processing performance is sufficient for office, Internet and video playback. The computer works silently and hardly gets warmer during everyday tasks. The hardware is housed by a thin, nice case. The display will not win any prizes but matches the price range. However, we expected a matte display, since the Stream will be used in different locations and the user should be protected against reflections. The battery life should also be better in a device designed for mobility. The Stream has some potential. HP should improve display and battery life and decrease the price at the same time. Several conventional 15.6-inch computers are available in the 300 Euros (~$380) price range, which feature more storage capacity and longer battery life but are significantly heavier and thicker. The Stream has to be at least on par with devices of both categories in order to be competitive. A Stream 14 with matte display, 64 GB memory, big battery capacity and integrated 3G modem could definitely find its buyers for 250 Euros (~$316) or less. 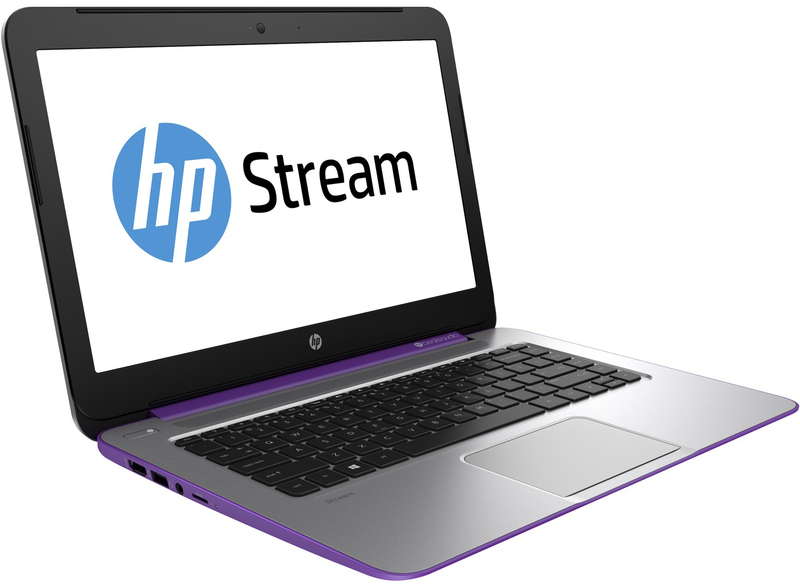 The HP Stream 14-z050ng; courtesy of HP Store. 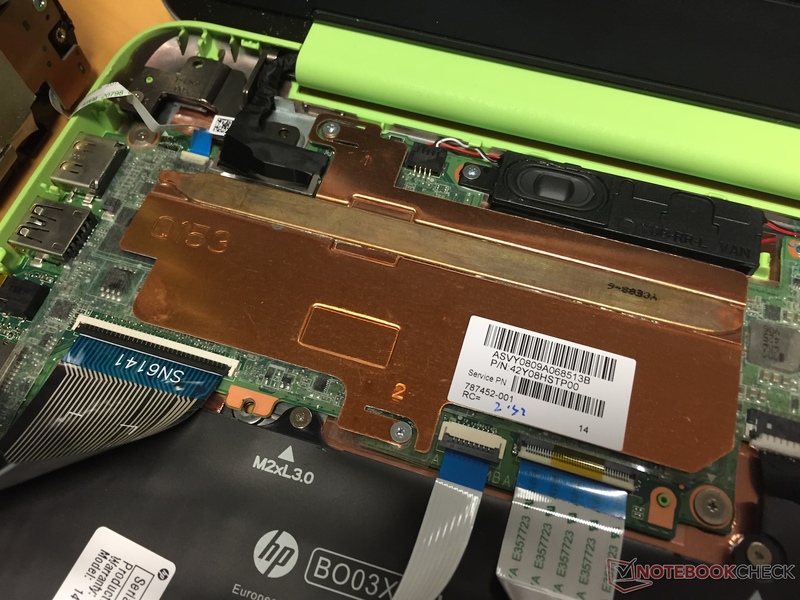 To get inside the HP Stream 14, you need to loosen a lot of screws on the bottom of the laptop. Four of them are hidden below the back feet. In addition to the screws, the upper body is held in place by plastic clips. The ribbon cables for keyboard, power button, ... are long enough to not damage them when lifting off the top. Nothing to upgrade here. Main memory, and NAND memory is soldered directly on the mainboard. A matte display and longer battery life. Despite a low price, the case of the Stream is partly made from aluminum. Packard Bell EasyNote TF71BM-C8R1, Asus X551MAV-SX391B, Lenovo B50-45, HP 15-g005ng, Acer Aspire E1-532, Acer Chromebook 13 CB5-311-T0B2, Toshiba Chromebook CB30-102.